Turkey tenderloins are a boneless and skinless part of the turkey breast. Since that area of the turkey is not exercised frequently, turkey tenderloin can be a very tender cut of meat. They are sold separately in many supermarkets. The tenderloin will cook quickly and because they are low in fat, they can dry out quickly with just a little overcooking. These quick and easy turkey tenderloin recipes prevent that by coating the tenderloins in crumbs, marinating them in sweet and savory ingredients, and cooking them by roasting, grilling, and sauteing. If you are hosting a small Thanksgiving dinner, turkey tenderloin can provide enough meat for a few people without all the hassle and fanfare of cooking a whole turkey. Any other time of year, turkey tenderloin is a healthy and tasty protein to add to your dinner rotation. Turkey tenderloins average in size between eight ounces and one pound. They are very versatile and can be cut in a variety of methods. You can cook them whole, sliced crosswise into medallions, lengthwise into tenders for breading and baking, or into chunks for stir-fry. Another delicious way to prepare the tenderloin is to stuff it. Because of their size, they are well suited for stuffing. With a paring knife, cut a slit along one side of the meat. Do not cut all the way through. The goal is to make a pocket, which can be stuffed with cheese, herbs, eggs, or even sausage. Then, the stuffed tenderloin is cooked. Remember that you can change these recipes any way you'd like to use your favorite ingredients. Change the cheese used, change the vegetables, and change the herbs and spices. Just be sure to write down what you did change so you can reproduce the recipe in the future. 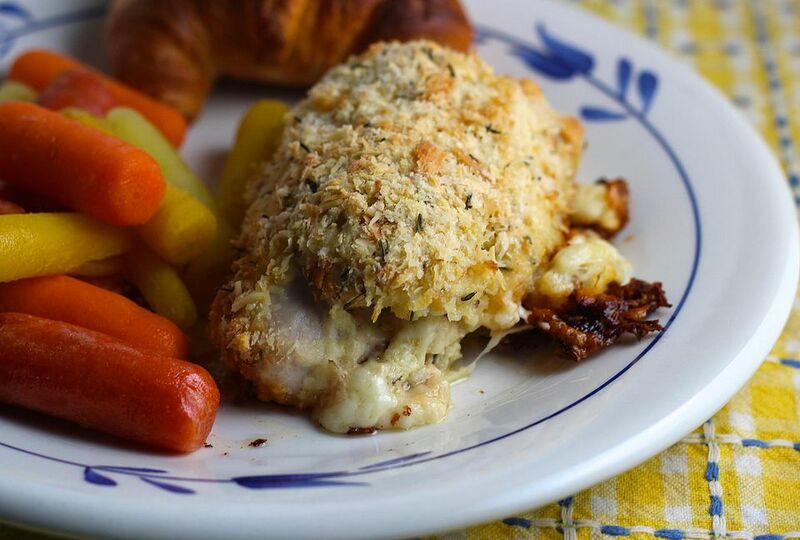 Turkey Cordon Bleu: This recipe bakes at a slow temperature so the turkey stays moist and juicy.​ It's sure to be a crowd pleaser. Lemon turkey tenderloin: You can marinate the turkey for 20 minutes at room temperature in this recipe or if you have time, marinate it in the refrigerator for up to 24 hours. This method makes such tender and moist turkey with the best flavor. Grilled turkey tenderloins: The grill is a great place to cook a turkey tenderloin. It's perfect for fast and easy cooking with minimal clean up required. Roasted bacon turkey tenderloin: Bacon and Italian salad dressing transform turkey tenderloins into a feast. The grill cooks these tenderloins in minutes and gives them a wonderful smoky flavor. The bacon is partially cooked before wrapping the turkey to reduce the fat content. Pineapple chutney glazed turkey tenderloins: Any type of chutney will work well in this super flavorful and easy recipe. The glaze adds color as well as flavor to this dish. Make your own chutney or use store bought and remember to serve some alongside the turkey as a dipping sauce.